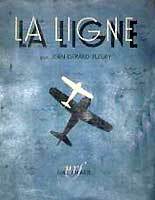 Are any members familiar with the title, La Ligne, author unknown, believed pub date sometime in 1930s ? It was referenced during my search for information on the Lateceore 300 series of flying boats many years ago. I was able to obtain loan of a copy via the interlibrary loan system & although I cannot read French, was able to discern quite a bit of info related to the operations of the 301 & 302 boats. I took liberty to copy the relevant pages, gave them to a friends daughter for translation & never saw them again. Unfortunately I became very busy with more important things & somehow lost all the information. Any help from any source is appreciated in renewing this project. I don't have them but if it can get you closer.. Thank you. I believe the one with the map is the edition I had. Great link.